Lower Stoner Mesa Trail, May 26, 2004. Protruding, pin-cushion-like stamens are characteristic of this genus. 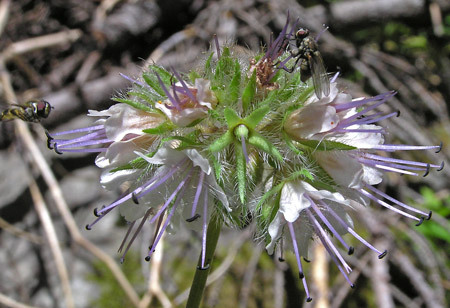 But even these prominent protrusions are not enough to attract attention to Fendler’s Waterleaf, because it is most often buried in a mass of greenery in moist Aspen woods. It is, however, very common and really quite easy to find and identify. 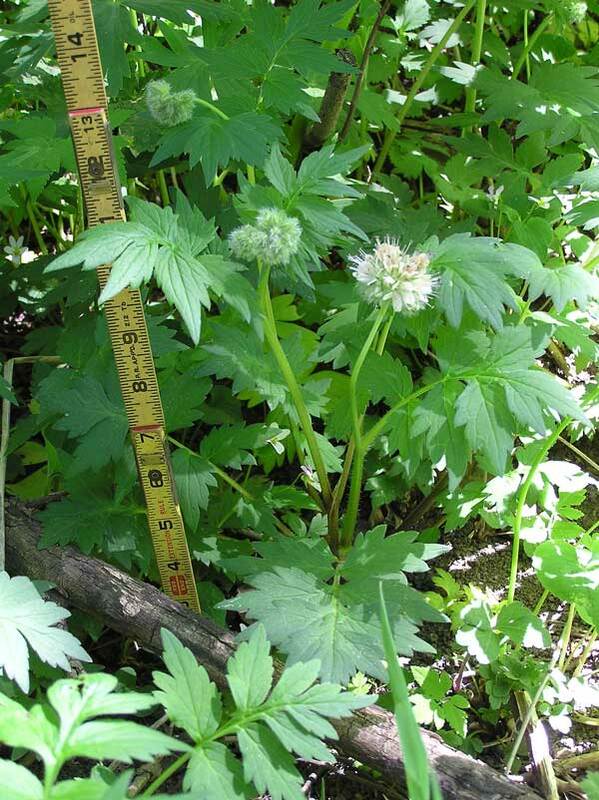 The plant tends to be broader than tall with flowers protruding just above the large, arching leaves which are divided into soft, serrated leaflets. Court House Trail above Owl Creek Pas, July 15, 2007. 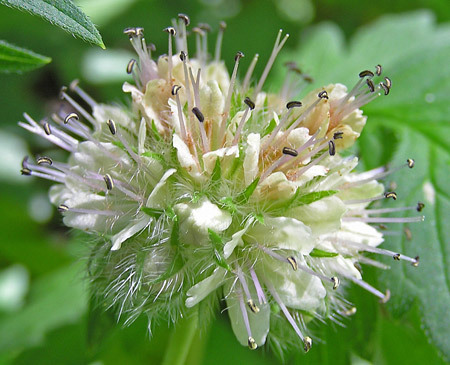 Stamen filaments (the long, thin stems supporting the anther sacs) are most commonly white but range from white to lavender. Burro Bridge Trail, July 6, 2007. 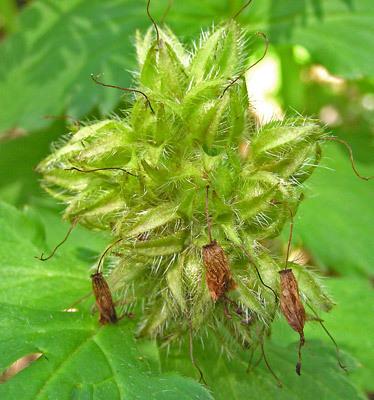 Flowers turn brown and hairy seeds develop.